There are some noticeable differences and similarities between an impact wrench versus an impact driver. In this article we will highlight some of the differences and which one is best for your situation. Both have some impact capabilities inside that acts like a hammer to break the resistance on the applied item. Impact wrenches - are used in auto repair such as removing lug nuts, but also have a role in maintaining heavy equipment and product assembly lines. The great part about these tools is that they can be easily configured to auto shut off once the tool achieves the correct amount of torque (preventing over tightening). Impact drivers - work great for deck screws. So constructing a typical deck, you would definitely want to select an impact driver over a wrench. Commonly used at construction sites to replace the screw driver or common drill with a screw driver head. If you're looking for an extremely durable tool, then the Dewalt Bare-tool is the product that will solve many of the typical driver issues out there today. First, this version has a frameless motor which is integral to extending the overall life and durability of the driver. It also boasts huge amounts of torque measured at 1,330 pounds. The balance of the the tool and sheer power makes it a favorite among DIYers and construction pros alike. Unlike many of the other brands on the market. Dewalt Bare-tool prides itself on the fact that it is Made in USA. With over 500 positive reviews, the DC825B is priced in at under $100. 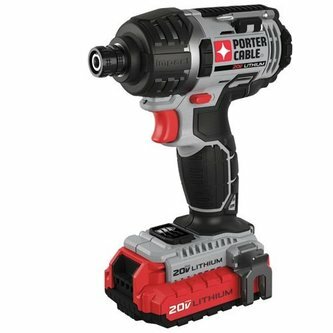 This heavy-duty lithium ion impact driver boasts several design innovations which make it a versatile and functional tool for any garage. There is a battery gauge indication directly on the product to let you know when you need to set it back on the charger. If you're working in a dark area, rest assured that you'll still be able to operate efficiently using the LED light on board. Also, rubber bumpers on both sides keep the handle from getting scratched and banged up from frequent usage. A belt hook allows the user to carry the tool easily up and down ladders while safely moving about. The high torque transmission gives this portable driver a burst of rpm necessary to work on construction type projects. With nearly 1300 pounds of torque behind it, this machine is a little monster. The rotor has been modified and is 15% larger than other models giving it a surprising amount of power. If you're worried about it being too noisy, fear no more, it has a patented technology which makes it quiter than you might think (under 86 decibels). It also comes with a two year manufactures warranty and costs near half that of the Snap on Tools version. The Aircat 1150 is also lightweight and balanced, weighing in at only 4 pounds. 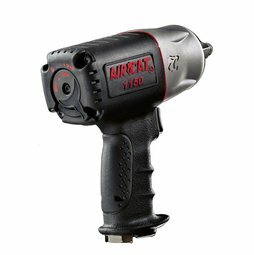 With over 300 positive reviews and a price point that is attractive to anyone looking for a reliable and powerful wrench, the Aircat shows well in against others in the same category. 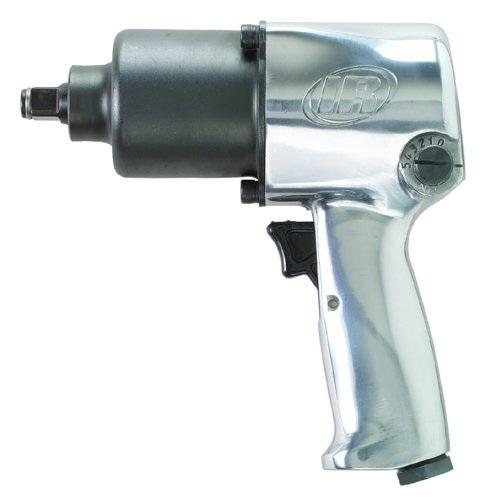 The 231C offers a lot of useful features that make it an ultimate impact wrench. Its got pressure feed lube abilities ideal for working on cars or other automobiles where stubborn lug nuts make things difficult to remove. This tool delivers over 425 lbs of torque and 8,000 RPM. What is really nice about this model is the ability to moderate power variables for different results. It's also compact and easy to carry around with you wherever you go. If you're the owner of an auto shop or a auto hobbyist this tool should be a necessity for working on vehicles. The aluminum finished body displays the professional nature of this product.